Hello, I am a 17 year old girl with a 15 year old brother (let's call him D) who has severe anger issues. I plan to go to college for 4-6 years, but I am afraid that something will happen in my absence, indirectly or directly being D's fault. Usually, it's just verbal abuse, but when it's really bad and out of control, he starts to get physical. Most of his verbal abuse is downgrading towards both me and our mom. He calls me fat, lazy, ugly etc. but lately it's been more towards Mom. He calls her worthless, selfish, fat, lazy and worse than the deadbeat father who left him. He thinks that her crying from what he said is a guilt trip to get people to do what she wants. But it's not. Our mother is raising us on her own, suffering from her own major health problems. We help around the house most of the time, but sometimes he retaliates, saying that he shouldn't have to do the chores a parent should be doing. Usually, resulting in an argument about responsibilities, D ends up making Mom cry. One time not that long ago, he got severely mad over something petty. So basically, he gets paid from our landlord to snow blow. The landlord left the money in the door, and D wasn't home yet, so I put it on Mom's bedside table. Well, he comes in all macho-like saying, "Where's my money?" After me and Mom say that it's here he insists she give it to him. After Mom saying no over and over (with good reason), he decides to just walk in there and take it, like he owns the place. Now Mom is a big stickler on privacy and personal space and such, therefore she hates it when people walk in as they please. So then, Mom gets angry and demands D to give it back. A respectful child wouldn't have taken it in the first place, but would've given it back sooner than later right? Not D. He gets all red and gives her the meanest glare a mother should not have to see from her child. One with pure hatred, like he wants her out of his life. Dead. From that point on, they go back and forth about how “it’s his money not hers” and how “he’s the child, and she’s the adult.” Then, (it’s one of her bad days) after yelling for so long, she screams (literally) at him and says that she doesn't feel good and can't take this stress right now and tells him to give her the money. He doesn't care. He just gets in her face and yells back about how she should’ve just given it to him in the first place. Escalating, she wanted to hit him (who wouldn’t) but only threatens to. Doesn't actually do it. He taunts her saying things like “go ahead,” “do it,” and “make sure you leave a mark so you go to jail,” (or something along those lines, I don't remember exactly). Well to shorten this up, he basically starts to get all in her face, like less than an inch away and she tells him to back the f**k up, slightly pushing him by the shoulders, towards his room, telling him he needs to cool down. As I’ve been there the whole time, trying to get in between them, I literally pull him by his shirt collar and try to pull him away from her. I don't succeed, ending up with a black eye. In my split second of darkness, Mom ends up on the floor at the top of the stairs, shaking with her sobs. I don't remember what happened, but I got up to stop him from advancing towards her anymore. (I think he felt bad for a millisecond because he opened his arms as if to help her get up), but I pushed him away from her asking him whether he really wants her dead and whether he really wants to go live with his deadbeat piece of crap father. He says it’s better than here, with the glare I mentioned before aimed at me. Pure resentment. Now I did nothing wrong to deserve this look. So I ask him, with tears pouring from the pain in my eye and the pain in my heart, “What happened to you? What happened to my kind, loving, caring brother?” All he does is smirk and shrug his shoulders. Now I'm speechless. I just shake my head and turn around to help my mother up from the ground, into her bed, so that she can rest. After I help her lay down (because she is in excruciating pain at this moment), he starts to walk down the stairs. I yell after him. “D, if you leave this house, you’re only gonna make things worse than you already have”. He just slams the door and leaves. My mom, being more fed up than she was before, decides to follow him in the negative degree weather, later coming back because he called her saying that he wasn't where she thought he was and that he’s wasting her time, ending the call with “Oh, by the way, frostbite sets in in 30 minutes.” almost like he wants her to get it. Just now, as I am crying from writing this, I lie to him. I said “I’m dying” (from choking on air) and he says “Yea, not fast enough” and walks away. Like really, is that how you really feel? It’s small moments like these that I really truly think I would be better off gone. Not dead (maybe), but gone from his life. Would he really be better off without me? Without mom? Why? Why does he feel this way? He treats his girlfriend (let’s call her B) better than he does me or mom. I wonder all the time if B knows this side of him, yet I hope that she never will. And the other thing I don't understand is how quickly he can go back to his life like nothing happened. Well before I decide to write a book about his anger, I will conclude this with my question(s). How can I help change my brother back? How do I know if he even wants to be the person he was before? Is there a way to change him before it’s too late? Is it too late? Can his girlfriend change him? Should I tell her everything? Is it my place to? Why is he so bipolar (is that the word)? Is there someone out there who can talk to him, a therapist? I don't know what to do. The only thing I do know is I want to know the source(s) of his anger and how I can help fix them before I leave for college, if I still decide to go due to my fear for the future. Your family sounds exactly how I lived when I was a kid except I had both a mother and father and 3 other siblings to contribute to the ugliness and the violence, disrespect and anger. You, your mother and brother sound like you all have respect issues for one another and are all acting out to try to earn it by demanding it. From my experience that hardly works as you are all your own unique individuals and how you are portraying yourself depends on how others will respect you. It sounds to me like your brother is coming into his own and is tired of being treated like a child and disrespected as well. You all need to learn to stop instigating and disrespecting each other, and live your lives more peacefully until you are old enough to move out and live on your own. The situation and circumstances you are in now are only temporary. You have complete control over how you will live your life. You and your mother should make some drastic changes first, then maybe your brother will follow suit if he does not address his issues on his own. If not it will go on like this until you all move on and leave. This is just a small part of your life and journey. Concentrate on you and your future to always better yourself throughout life. You and your mom and brother have much to learn individually. Learn from this experience and circumstance. In my opinion your mother had no right to take his money that he earned and worked for. How is she contributing to his outburst? Just because she is the parent doesn't automatically make her right in every scenario. He may be justified at times to get angry the way he is being treated and retaliates as a defense mechanism. Mom should go to counseling to help sort through all the stress and her feelings and work on bettering her parenting skills. Don't escalate a situation and make it worse and then blame the other person for their response. You all can learn it's all nothing but nonsense and is physically and mentally just making yourselves all sick probably over nothing most of the time. Stop over-reacting and learn to live with peace in your hearts. Peace is not something you wish for, it is something you make, something you are, something you do and something you give away. My best to you and your family. Hi Elizabeth, and thanks for telling your story here. I will try to answer your questions for you. I will list your questions and answer each one. Q How can I help change my brother back? A You can't...you can't change anyone, only yourself. Q How do I know if he even wants to be the person he was before? A You don't, and there's no way to know that. Q Is there a way to change him before it’s too late? A If he changes, it will only be because he wants to, and nothing you've written here leads me to believe that he wants to change. Q Is it too late? A It's never too late for a person to change, but they have to want to, and be willing to do the work to make it happen. Q Can his girlfriend change him? A You know the answer. Q Should I tell her everything? Is it my place to? A No. That will only make things worse. Q Why is he so bipolar (is that the word)? A You don't need to worry about diagnosing him. That won't help you or him. If he gets a diagnosis, that would come from a professional. Q Is there someone out there who can talk to him, a therapist? A Sure, but again, he has to seek the help on his own, because he wants to, not to please you or anyone else. Meanwhile, Elizabeth, focus on yourself. In reading what you wrote, it seems clear that you have some problems of your own. 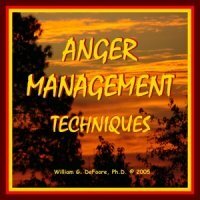 Get some counseling for yourself, to deal with you fear of the future, and your anger at your brother. The only person you're responsible for is yourself.